Days out should be for all the family, not just the one’s that have no mobility issues. Fenetic Wellbeing are campaigning to say exactly that, it shouldn’t matter if you have a pram or a wheelchair, if you need to stop every 10 minutes to have a rest or if you need a mobility scooter. Mobility scooters can really help to make all family days out more accessible for everyone. Since I was 18, I have been a support worker for adults with learning disabilities. Many people I have supported have used a wheelchair. When going out we have had to pre plan where we could go. We had to think about what the ground would be like for pushing the chairs, whether the doors would be wide enough and if there where accessible toilet facilities. My Grandma is 86 and although she has really good health for her age, she does have some trouble with her leg and regularly needs to rest so when I go out with her, we think about whether there are benches around where we are going if it is outdoors. I know it’s not Lancashire but we went to Tatton Park last year and it was really good for having places for her to rest. We took Lucas’ pram and we could easily walk around everywhere. We couldn’t take it in the mansion but they offer free baby carriers. Worthington Lakes, in between Chorley and Wigan is made up of 3 reservoirs. It is part of a 50 acre country park, with a nature reserve and accessible footpaths. This is somewhere I regularly went with people who had autism. It is an incredibly peaceful place to walk. It isn’t often you pass other people there and dogs are banned which was perfect as a lot of people I supported didn’t like dogs. This is a great place to go for a walk but there are no toilets. 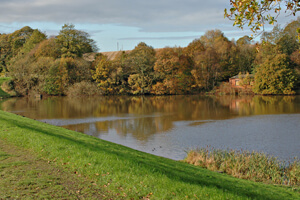 Astley Park, Chorley, has an abundance of open space to explore and play. There are 2 incredibly good play areas, tennis courts and a bowling green. The park itself is really good for prams and wheelchairs, the paths are smooth and very wide. There is a Pets Corner which has a ramp up to it and wide doors for access. There is also a cafe and toilets that are easy to access. Astley Hall is a Grade 1 listed historic house that was built in 1578 and is now preserved as a museum and art gallery. Unfortunately only the ground floor can be accessed by wheelchairs and prams, however you can ask staff to see a guided tour of the rest of the hall on a DVD. 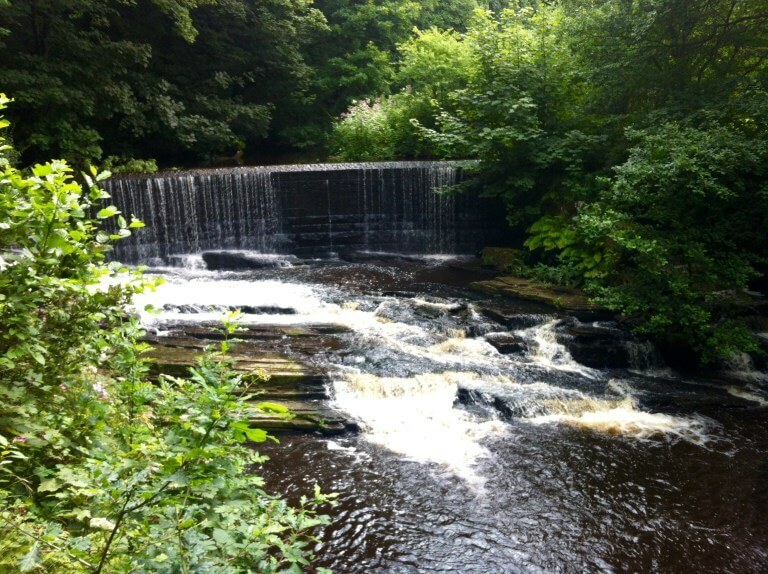 Yarrow Valley Country Park, Coppull has over 700 acres to explore, an adventure playground, cafe, clear paths and accessible toilets. 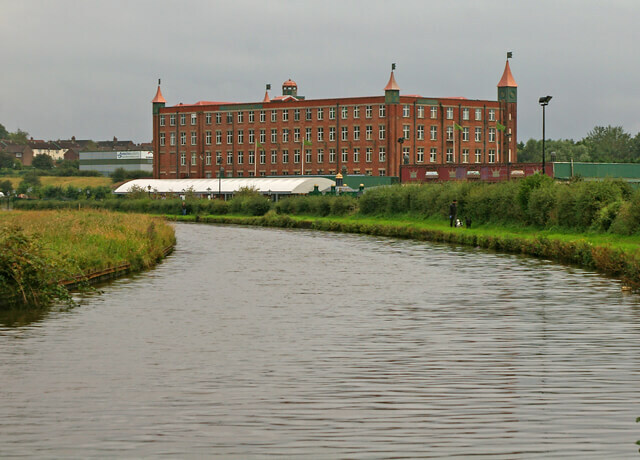 Highlights include Duxbury Woods, Big Wood and Copperworks Wood as well as exploring the riot of wildflower colour that grows in Lower Burgh Meadow in the summer months and the magnificent Big Lodge, which is a venue for fishing and canoeing as well as the home of many swans, geese and ducks. 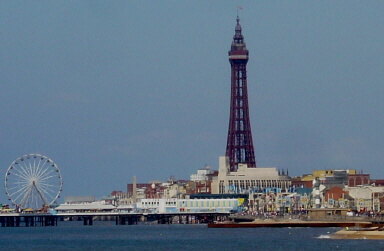 The Blackpool Tower makes every effort to ensure that The Blackpool Tower Eye, Dungeon, Circus , Ballroom and other facilities are accessible to all of their guests. Disabled access into The Blackpool Tower is via Bank Hey Street (opposite Primark). Although electric scooters can’t be used past the ground floor, they can be locked away safely and wheelchairs are available free of charge. Whilst in Blackpool, the sea life centre is also easily accessed by wheelchairs and prams. Sprawled across the five floors, Botany Bay is full of the designer brands in clothing, furniture, homeware, gifts and crafts – all at outlet prices. There is also a garden centre, food hall and restaurants. For the children there is Puddletown Pirates. There are 2 lifts but they can be hard work with wheelchairs, however there is a goods lift and the staff are happy to support you to use that. It’s free entry and free parking. Despite living in Manchester all my life, I’ve never been to Botany Bay. I really ought to go, even if it’s just to say that I did! The National Museum of Scotland its great, so much to see, something new every time and its free, so great for families. My kids love going to Gullivers world. Off to Legoland soon! We managed to get tickets through Merlins Magic Wand as my son has a disability. So excited! We love National Trust properties for a day out. Fresh air, loads of space to run around and usually a great tea shop too! Leeds Castle makes a pretty amazing day out for a family. Definately the seaside. It doesn’t matter where it is…we always enjoy our trips to the coast. To the zoo or anything involving animals! Walking on Malvern Hills – it’s very local to us. Can’t beat Blackpool. especially love the zoo! To the beach! We love Brighton. To the seaside, especially Morecambe Bay! I love to visit the zoo! We live near London so we love visiting London for the day. We love having a day out walking in the Lake district when we get chance. Thanks for this. I love going to Saltwell Park, Gateshead with the kids. There’s loads to do, you can spend the whole day there and it’s all free. Love taking our boys to woods and round castles lots of fun. We love Legoland Discovery at Trafford or visiting our beautiful local park. I need to use a wheelchair now, and don’t have much energy. So I like to see water, the sea or a lake, and mountains. And have lovely things to eat. We live in North Wales, so don ‘t have to go far to enjoy these. We love going to Paultons Park in the New Forest. We love Arundel Castle – it dates back to 1067 and is so interesting. Afterwards we like to pop down to the WWT and look at the birds, have a picnic and ride in the electric boats among the reeds trying to spot water voles. I like going to St Ives for the day, preferably when the weather is lovely! 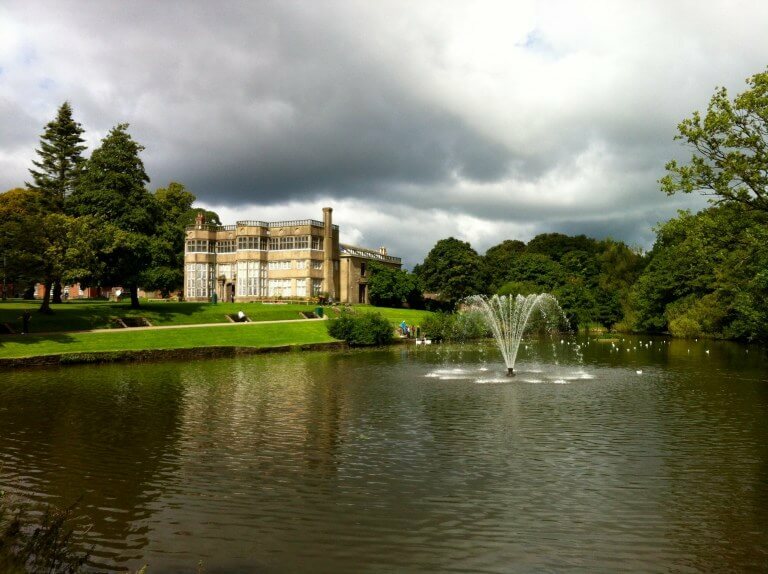 we love Whitton park in Blackburn…. Its just down the road from us and has a lovely big adventure playground, acres of land for walking round and a small section of birds and other animals. We love going to Crealy in Devon or Cornwall! We love going to Teddington Lock to watch boats. We really like Whitby, there’s so much to see and do. Once we are fed up of the beach we can go have lunch and then see the Abbey. When we are feeling brave we take a boat trip round the harbour. Usually end up going on New Years Day as well if the weather isn’t too bad. My favorite days out are visiting National Trust properties. Recently went to Bodnant Gardens in North Wales which was terrific. My favourite is visiting castles. we love warrick castle <3 something for all ages Lucas who is 7 is intrigued by all the history and Jessica 5 loves the princesses. We love visiting Tatton Park in Cheshire. It’s a wonderful day out, with so much to see and do. I love to go to Chatsworth – great for walks, picnics and playground fun. We love a trip to the seaside! We love family days out at the beach. We love going to the Wild Boar Park which is down the Preston way, if I remember right! Thanks so much for the chance! Would love a day out with the kids! Off the website though I’d have to choose the family adventure at Lancashire Cruises. My son would LOVE that! We love anything by the coast. Weston super Mare is great!